Ideal for high-rpm drag race applications, the Victor E EFI has a larger and deeper plenum than the Edelbrock p/n 350-2975. It provides maximum power in the higher rpm range for engines with standard port location iron and aluminum heads. 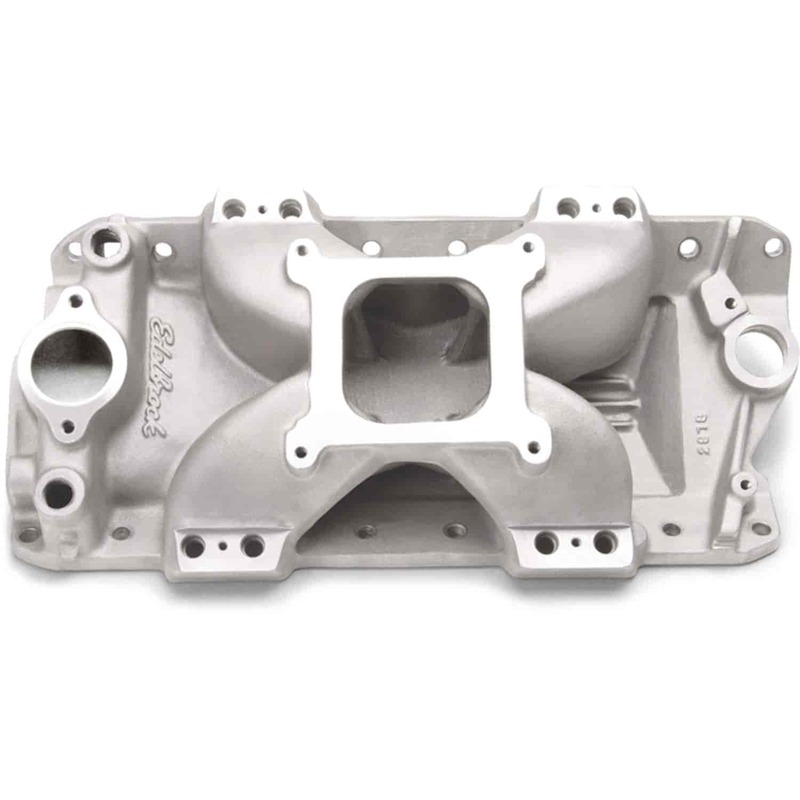 Runners have a tapered cross-section, and plenty of material at the manifold port exit allows port matching to the small port heads used in NHRA Super Stock classes. 1'' or 2'' spacers can be used for performance tuning. Compatible with Standard or Pico injectors. Carb pad height = 4.58'' with 3° carb angle. Edelbrock Victor Series EFI Intake Manifolds are single-plane, high-rise intakes designed for maximum race-winning power at higher engine speeds. Edelbrock engineers work with top engine builders from all forms of competition to create manifolds compatible with the latest technology. Part-specific information below. JEGS Easy Kits are designed by JEGS professionals to make sure you get all the correct parts you need. 29785 is rated 5.0 out of 5 by 1. Rated 5 out of 5 by mario grua from Best EFI Intake in the market Edelbrock quality and price are the best , this my second EFI victor E intake , nothing to bad to say and Jegs always good prices and fast deliverys ! !